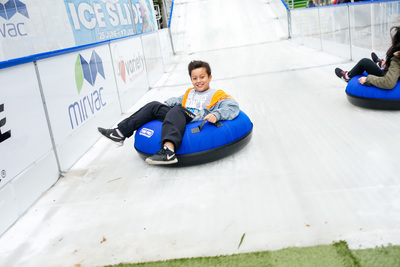 Rug up and make the most of Melbourne's super cool wintry experience on the giant Variety Ice Slide. 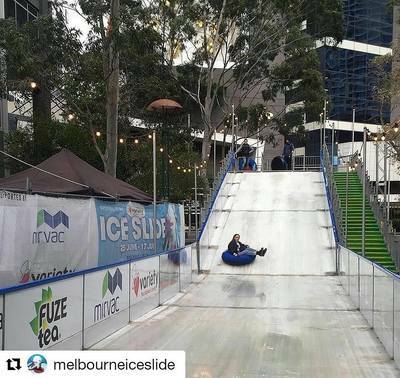 Enjoy the thrill of winter by shooting down the giant 40-metre long, four-metre high slide, temporarily set up next to the towering Eureka Tower on Southbank. The structure has taken three days to set up, and has been iced using a fine misting system at -12 degrees. From 25 June – 17 July, 2016 you and the kids can enjoy a thrilling ride down the slide on an inflatable tube, for a reasonable $10 for three ice slides. Warm your insides with hot and tasty food offerings from The Food Truck Park and Fuze Tea providing a free iced tea for all sliders. The wintry escapades can be further enjoyed when Eureka Skydeck’s Deckstar the mascot roams the spillway to get involved in the multi-level monster action. 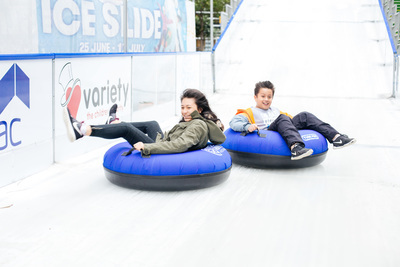 Lastly, all patrons of the ice slide will be offered discounted admission at both Eureka Skydeck and for a spin at Federation Square’s ice-skating River Rink.